Teams will all be on the same Aeroflot flight via Moscow Sheremetyevo arriving in Yerevan at 4:35am. 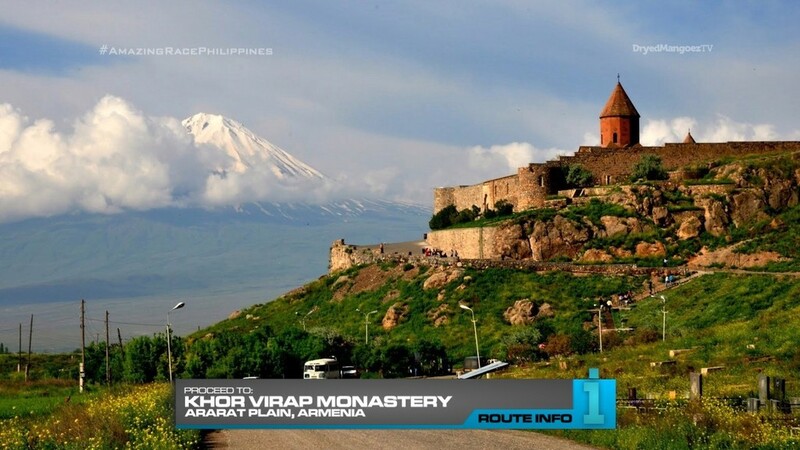 At the airport, teams will choose a marked taxi and direct their driver to the Khor Virap Monastery on the outskirts of Yerevan. In full view is Mount Ararat, the traditional resting place of Noah’s Ark. And here, teams will release doves. They will then receive a numbered woodchip which they must keep until further notice, as well as their next clue. 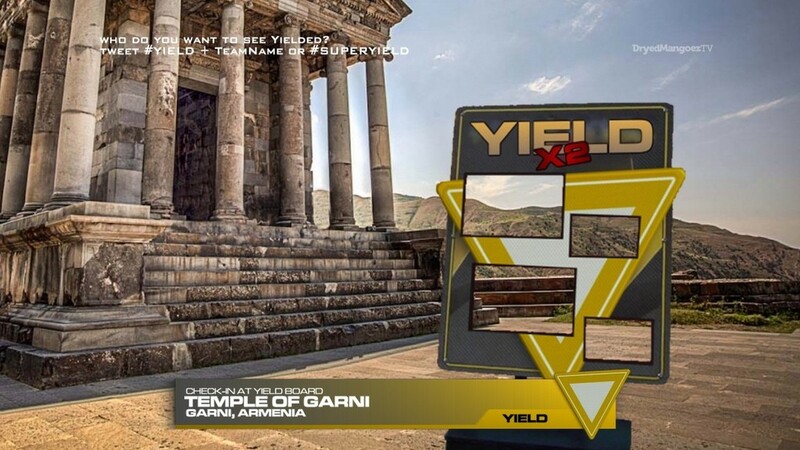 Teams must continue to the Temple of Garni… where they will find a Double Yield Board!!! The Super Yield may be used here. After checking-in at the Yield board, teams will immediately discover the Road Block: Who’s ready to toe the line? For this Road Block, teams will dress up and learn a traditional Armenian folk dance. Once they have correctly performed the routine with the other dancers, they will receive their next clue. 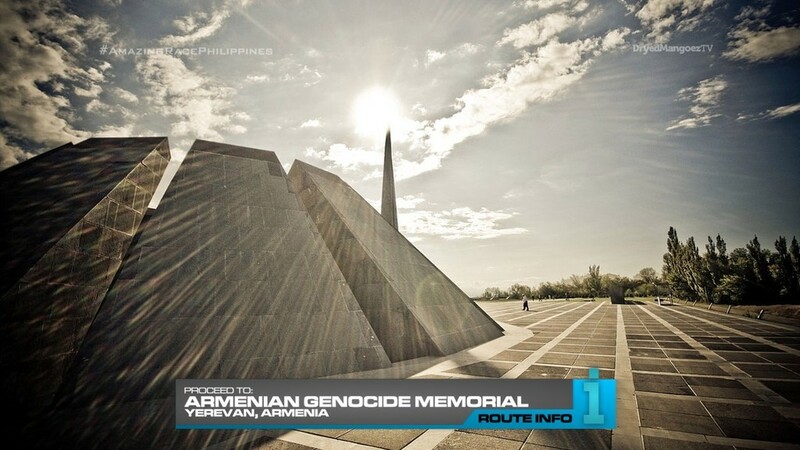 Teams must now make their way to the Armenian Genocide Memorial and Museum. Teams will honor those who were killed in Armenia by lighting a candle and laying a flower at the memorial before opening their next clue. 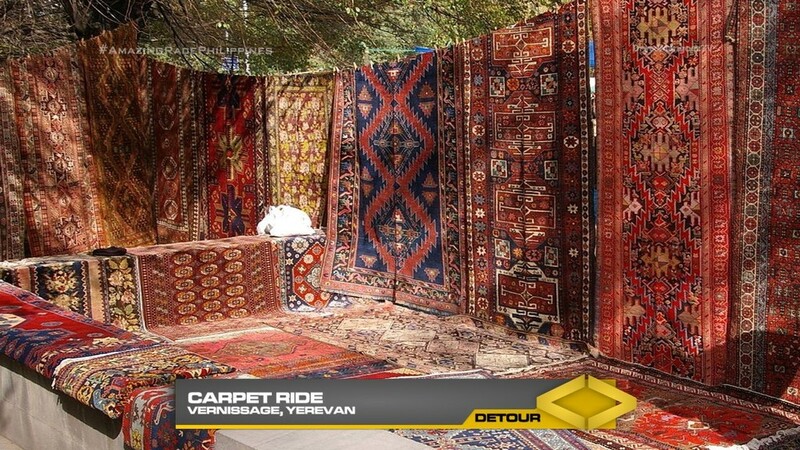 In Carpet Ride, teams must search the Vernissage area for six carpets matching a specific design they will choose at the start. They must collect those carpets and deliver them on foot to the Megerian Carpet Shop. Once they have delivered the carpets, they will receive their next clue. 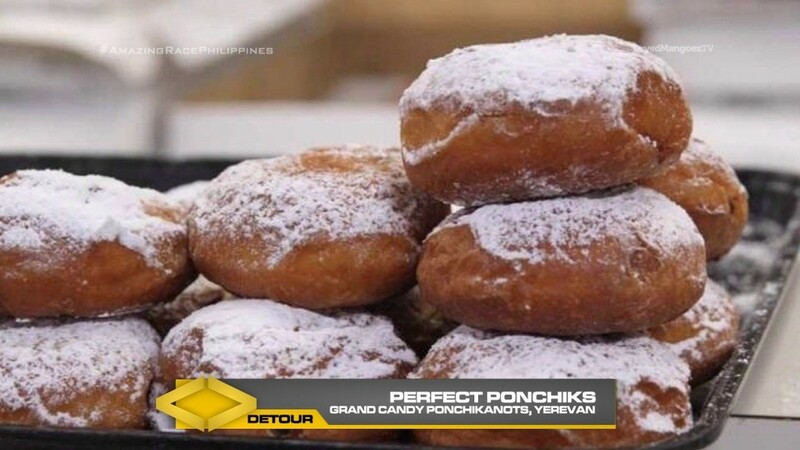 In Perfect Ponchiks, teams will head to Grand Candy Ponchikanots where they will learn how to make the delicious ponchik, a custard-filled donut. Once they’ve made a batch of 50, they must deliver a warm batch of 50 to a nearby address to receive their next clue. 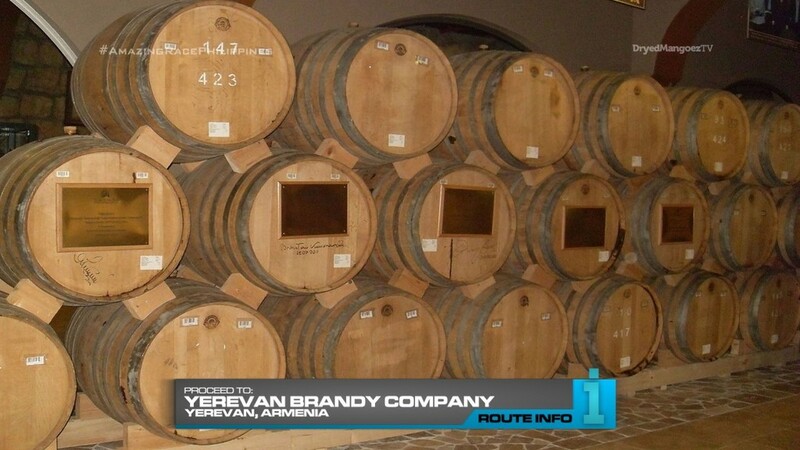 Teams must now head to Yerevan Brandy Company. The next clue will tell teams to refer to the numbered woodchip they were given at Khor Virap Monastery in order to find the numbered barrel which contains their next clue. Teams must now search the area around the Cafesjian Museum of Art to find the next cluebox. 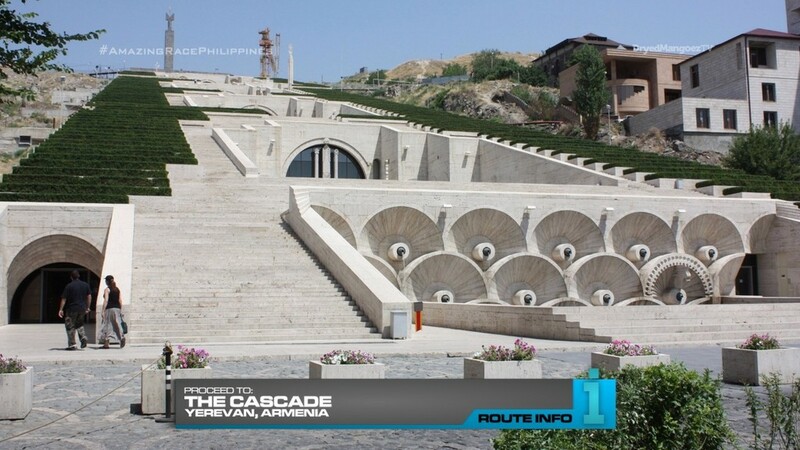 Teams will need to figure out that the Mat is located at the summit of the giant stairway known as the Cascade. The first team to check-in at this stunning location will win P200,000 courtesy of Shell V-Power Nitro+. As a disclaimer, this Leg was designed long before TAR28 decided to visit Armenia (lol). I thought about an Armenian visit for TARPH after Conan O’Brien decided to visit Armenia for another one of his travel specials. 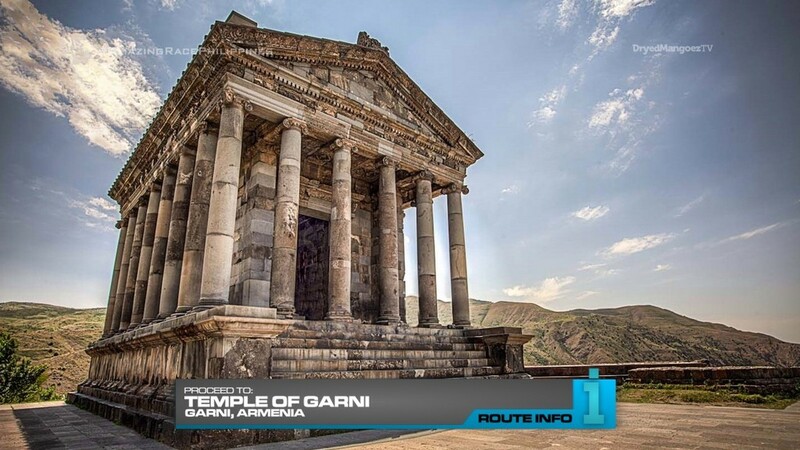 And the Road Block is basically inspired by Conan’s little visit and dance performance at the Temple of Garni. 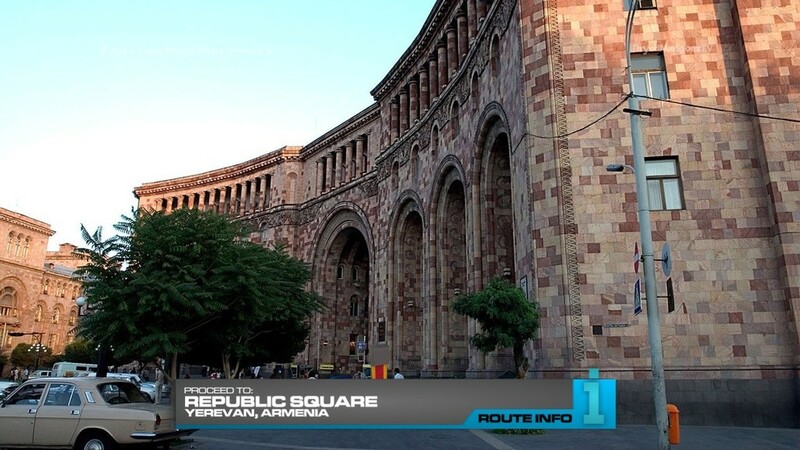 Armenia should be a great location. The first Route Marker is a nice little peaceful task which will definitely play well in the Philippines. Especially when you mention Mount Ararat and Noah’s Ark. This would definitely be a fascinating location to start the Leg. 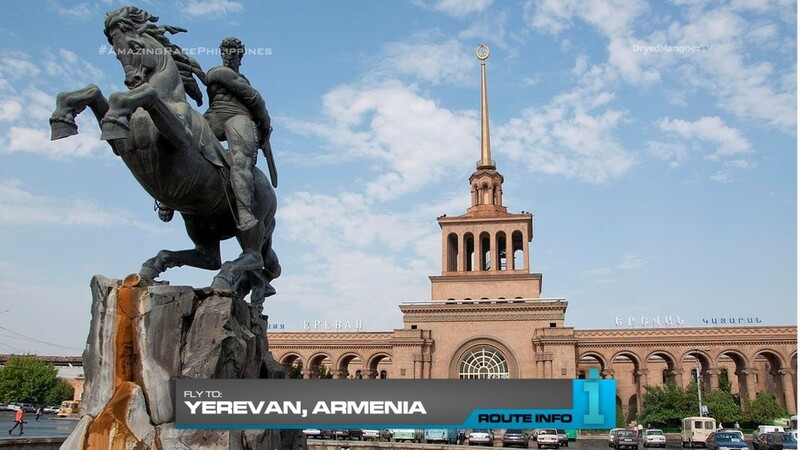 The Road Block is straightforward and allows for another task outside of Yerevan city center. Just as Conan did and TAR28 will likely do, there will definitely be a visit to the memorial. It’s always good to honor and pay tribute and respects any time you can on the Race. The Detour should be fun. Simple tasks that could trip up teams. Especially the delivering parts of both tasks. This will be another one of those tasks where teams performing different Detours may run into each other along the way. The final Route Marker with the woodchip is a TARPHDME staple. Giving teams a clue early in the Leg and them needing to keep it safe until they need it. You would always hope a team misplaces it or doesn’t understand the clue. Hehe. 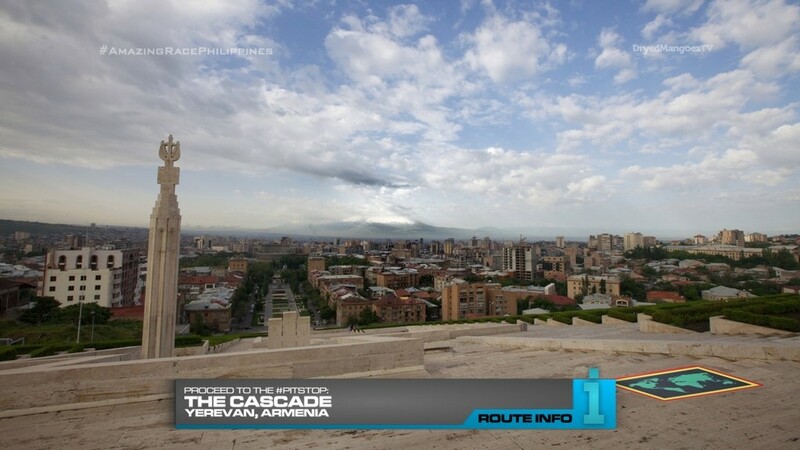 And finally The Cascade will be a stunning Pit Stop in full HD, maybe even 4K, and with drones! Woohoo! But the fun (cruel?) trick will be to make teams have to climb all those stairs. Maybe several times!